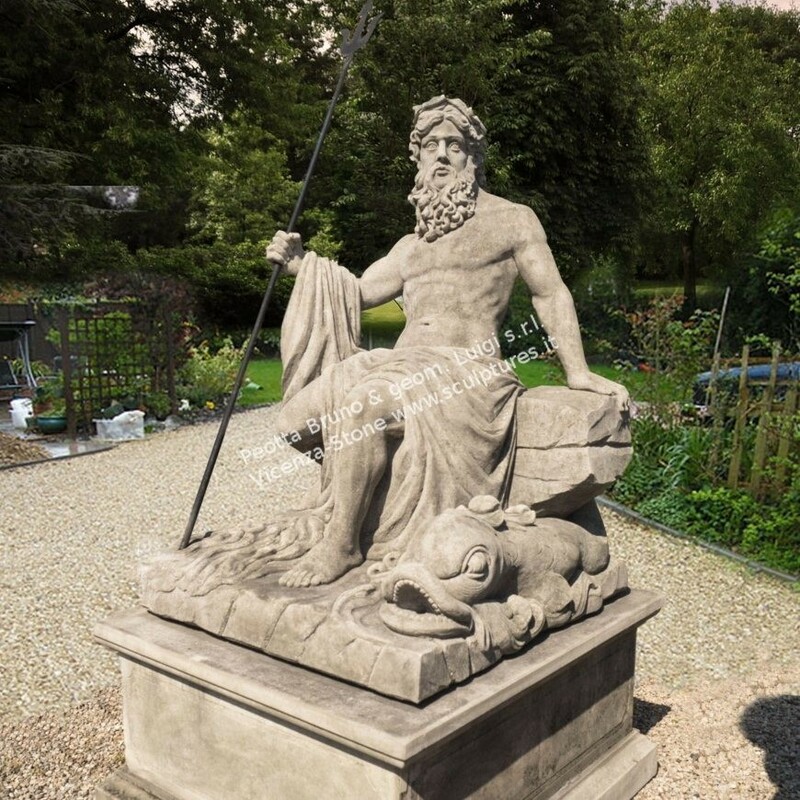 Handcarved Neptune sculpture executed entirely by hand complete base. He is the counterpart of the Greek god Poseidon. 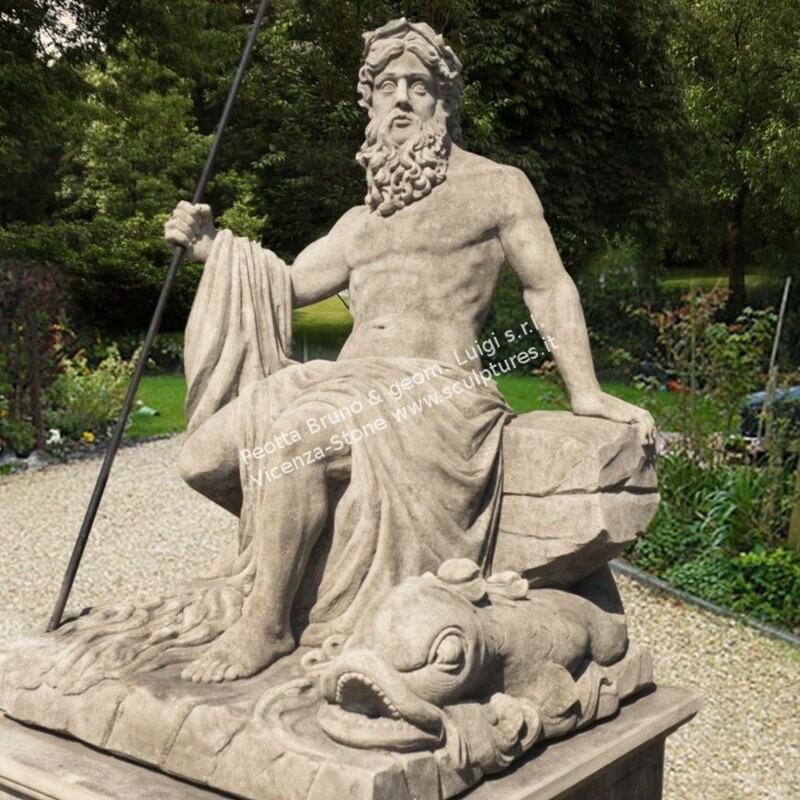 In the Greek-influenced tradition, Neptune was the brother of Jupiter and Pluto; the brothers presided over the realms of Heaven, the earthly world, and the Underworld. The statue can also be used as a fountain, the water will come out of the mouth of the dolphin. Iron wrought by a craftsman located in Veneto.